The state of Telangana has not received heavy Monsoon rains so far. Since June 1 until yesterday, the state has witnessed rains 10 percent below the normal levels. Rainfall activity has also not been a constant affair and the state has only recorded some rainfall activities on a few occasions. However, now, good news awaits the residents of Telangana as the well-marked low pressure which has developed over Northwest Bay of Bengal and adjoining Odisha will move westward. When the weather system will move towards the west, rainfall activity will increase significantly over central parts of the country along with some parts of Peninsular India including the northern districts of Telangana. Cities of Adilabad, Nizamabad, Warangal, Khammam may receive moderate to heavy showers. However, southern districts of the state will only witness cloudy weather conditions and light rainfall activity. 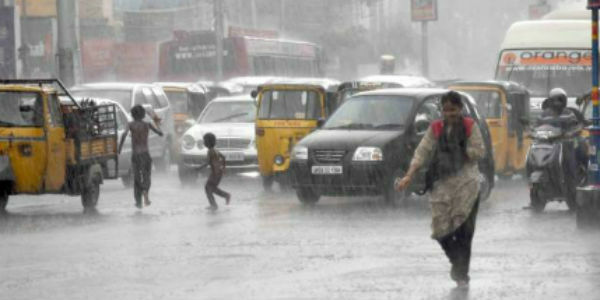 Cities of Hyderabad may receive scattered rains only as the weather system will not be in proximity of the capital city. These rainfall activities are expected to continue for another 24 to 48 hours. In fact, temperatures will also witness a drop due to these weather activities. However, thereafter, as the system moves away, rainfall activity will once again reduce over the state of Telangana.